Quick! Name FIVE visual artists. OK, now how many of those are women? In general, how many non-men artists can you name? You have not been transported back into Art History class. This is a real challenge put forth by the National Museum of Women in the Arts (NMWA) to rethink whose work we value as a society, and to rethink about how representation matters. While those people* have certainly contributed to our ongoing definition of visual language and culture, they are clearly not the only ones pushing boundaries, innovating techniques, and redefining the intersections of art and life. Oh sorry, did you think this was a Degas? Surprise, well-known women artists were impressionists, too. 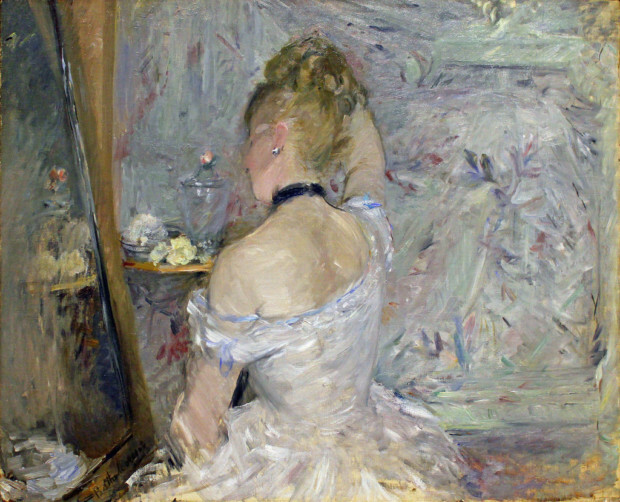 Berthe Morisot, Woman at her Toilette (1875/80). Art Institute of Chicago. During Women’s History Month in March, we at the YWCA wanted to highlight the contributions of these artists in shaping how we see and interact with the world around us—particularly those whose work directly addresses social, racial, and gender equality issues. Here are five badass artists whose art and legacies are continuing to shape and define our visual culture. Artemisia Gentileschi, Susanna and the Elders (1610-11). Schloss Weißenstein. An oldie but a goodie. As a survivor of sexual assault, a teenage Artemisia Gentileschi testified against her assailant while being tortured and won her case. But this isn’t even the most badass thing about her. In yet another example of why representation matters, Gentileschi dared to reinterpret allegorical and biblical tales like that of Susanna and the Elders. While this story is typically portrayed as the admiration of a chaste woman’s beauty, Gentileschi portrayed the radical idea that adult men spying on a young woman while bathing was, in fact, super creepy. Gentileschi is oftentimes brushed off as a Caravaggio-fangirl who male-centered history books basically covered up for centuries. Gentileschi should be remembered not only for her technical merit, flawlessly rendering deep emotions in each scene, but for reframing biblical stories through a more equitable lens. Portrait of the artist by Sipho Gongxela. 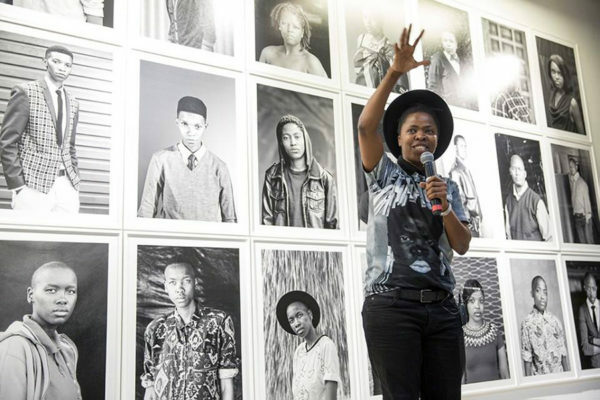 Muholi is standing in front of a part of their work, Faces and Phases. Mona Hatoum, T42 (gold) (1999). Private collection. Mona Hatoum, Cappello per due V (2013). Fondation Louis Vuitton. Have you had the feeling that you are unable to stay but unable to move? Mona Hatoum’s work portrays the feeling of conflict and contradiction, a large part of her family’s story. Born in Lebanon to Palestinian parents, she was raised in the United Kingdom after being stranded as a refugee. Hatoum explores this conflict of being part of two worlds, but never fully belonging to either. This uncomfortableness is present in her work T42 (or Tea For Two), Hatoum has created a teacup to be shared, but is practically impossible to use at the same time. 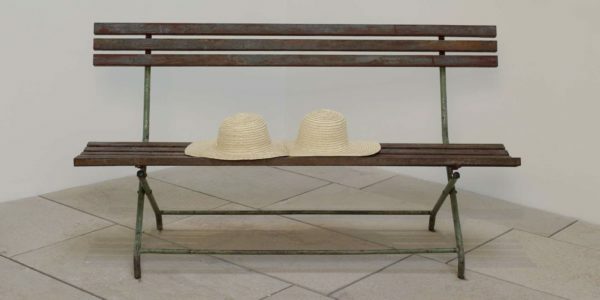 In Capello per due (or Hat For Two) two straw hats sit inconspicuously side-by-side on a park bench. Upon closer inspection, the seemingly carefree hats are actually woven together into one; impossible to separate and thus impossible to use. The contradiction of two nations forced to live side-by-side, but accompanied by a deep, underlying tension. Nan Goldin, Misty and Jimmy Paulette in a Taxi, NYC (1991). Tate. Nan Goldin, Nan and Brian in Bed, NYC (1983). MoMA. Nan Goldin started creating work as a photographer in the post-Stonewall, pre-Ellen 1980s and 90s in New York City, at the height of the heroin and HIV epidemics, using the camera to document herself and her friends. Co-dependent relationships and chemical addiction, physical assault and domestic abuse were part of everyday life, as were the notions of surviving through adversity, creating a chosen family, and living one’s truth. Critics saw her work as glamorizing “heroin chic,” and exploiting her subjects for fame: indeed, high-fashion editorial magazines have since re-appropriated her glossy-format, gritty-content style. To this, Goldin replied, “I never took pictures of people doing heroin to sell clothes…I find that really reprehensible and evil.” Goldin’s work gives us access to the world to which she belonged: intimate, vulnerable, raw LGBTQIA+ spaces, marked by substance abuse and intimate partner violence, and about as far away from glamour as you could be. Goldin, as a survivor and documentarian of opioid addiction, continues her fight against pharmaceutical companies’ “charitable” donations to art museums (a very hot topic in the museum world at the moment). 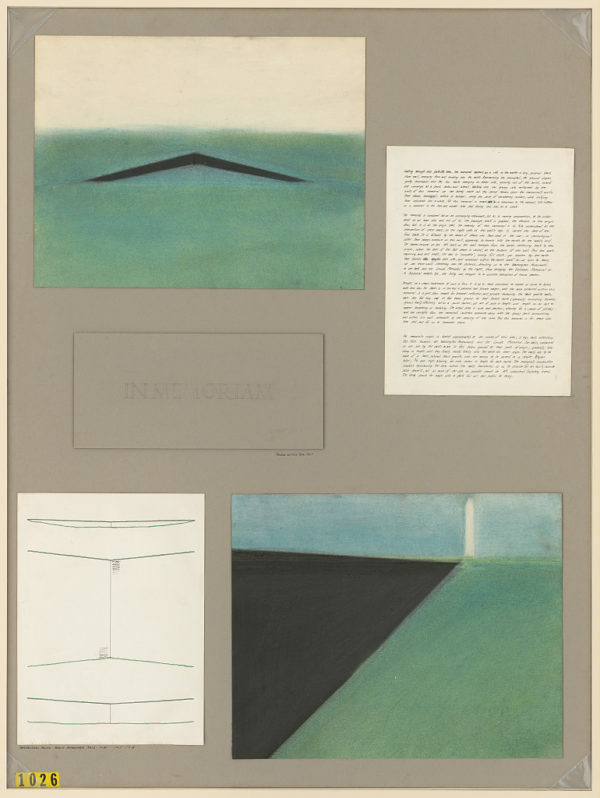 Maya Lin, Vietnam Veterans Memorial project proposal (1981). Library of Congress. Maya Lin, Detail of Vietnam Veterans Memorial project proposal (1981). Library of Congress. Talk about resilience. Maya Lin was an undergraduate student in architecture at Yale University when the call came in. The United States Government was going to commission a memorial for the 58,000 American service members who perished during the conflict in Vietnam. “I think it left a lasting impression on me,” Lin wrote, “the sense of the power of a name.” As a young woman of color born to Chinese immigrants, she had to endure much public gnashing of teeth after winning the Vietnam Veterans Memorial design contest in 1981. “From the very beginning I often wondered, if it had not been an anonymous entry 1026 but rather an entry by Maya Lin, would I have been selected?” Lin has gone on to have a long career in designing public monuments to civil rights and the contributions of women. These are just five of the women using their specific perspectives to disrupt the norm and pull back the curtain on their experiences. Creating art and the meaning around each piece is much different than merely using art as a creative outlet. Art moves through incomprehension, it is uneasy and uncomfortable. Art provides a way to not only express oneself, but also to tell the story unique to that person. It is through this range of human emotions that art exists, and we as viewers can grow and change in a concurrent manner. Jill Carlson is an AmeriCorps VISTA (Volunteer in Service to America) at YWCA Northeast Kansas. She holds a master’s degree in Expograpy-Museography from the Université d’Artois in Arras, France, and is a native Kansan. Art transforms, reveals, and helps work towards healing. The YWCA Center for Safety and Empowerment invites you to their 16th annual Concealed Revealed Art Auction on Saturday, April 6th to benefit survivors of sexual violence and assault. Buy tickets here. Do any of these artists remind you of a badass woman in your life? Nominate her for a Woman of Excellence award at the 31st annual Leadership Luncheon on Tuesday, June 18th.